Arizona’s Catholic Tuition Support Organization of the Diocese of Tucson (CTSO) is a qualified tuition support organization that is proud to provide tuition assistance for students in 28 Catholic Schools throughout the Diocese of Tucson. If you link to one or all of the schools, it will become apparent that these fine schools help students become faith-filled individuals, provide them with strong academics, and emphasize the importance of service to one another and to their communities. The State of Arizona has provided taxpayers an education tax credit since 1998. This means that for the 2018 tax year when you send a contribution of up to $2,213 if filing jointly or up to $1,107 if filing singly, the State will provide you a dollar-for-dollar-tax credit. This is a wonderful way for individuals to provide tuition assistance for students in Catholic schools at no additional cost. If you choose not to participate in the CTSO, the State will control those same tax dollars instead of you directing the dollars to a Catholic education. Academically, students in Catholic schools have responded with scores that rank above the national average on achievement tests and greater than 95 percent of students graduate and go on to higher education. More importantly, students obtain an education centered on moral, academic and faith-filled values. 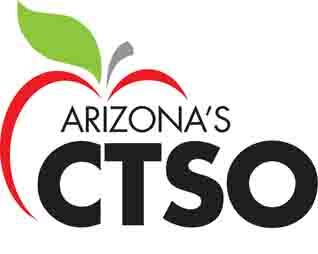 Arizona’s Catholic Tuition Support Organization (CTSO) promotes Catholic Education by providing tuition assistance to K-12 students in Catholic schools using funds generated by the Arizona tax credit programs. CTSO operates as a qualified school tuition organization according to ARS43-1089. The CTSO accepts contributions from taxpayers, earning them a dollar-for-dollar tax credit, and allocates funds for tuition assistance or scholarships to students in grades K-12. Catholic Education will be available, accessible and affordable to children who want the opportunity to attend a Catholic school.